I was encouraged this week about the ideas and dreams God has been placing in my heart and spirit. So I want to pass on the encouragement. Never give up on your God given dreams. If you’ve made an honest commitment, see it through. Question your DOUBTS! Rather than letting your Doubts dictate to you false allegations. Your Doubts may be based on truth. So investigate. Don’t let your doubts shut it all down when you might just need to adjust an area or two…of your commitment…like the timing or the cost, for instance. 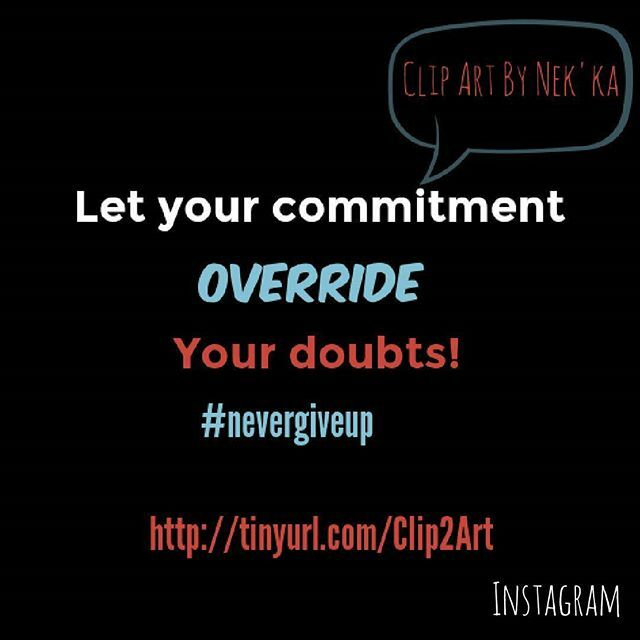 Let your COMMITMENT override your DOUBTS ! Creating a Community of Referrals for each other’s businesses.